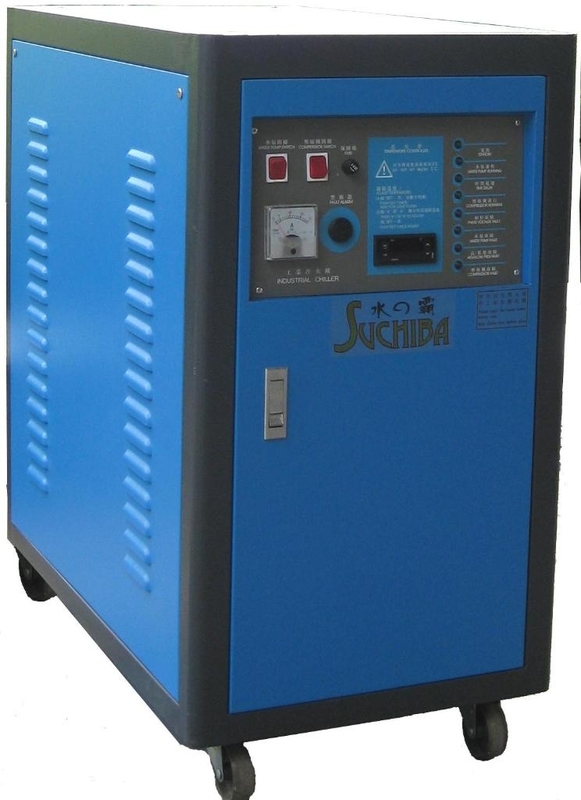 are wise to choose, "SUCHIBA"industrial chiller,the mainm fields of application are!! 1.Circuit breaker 1.Employing all-new imported compressor. 3.Pump overload protective lamp with longer terms of service. 6..Refrigerant shortage protective lamp of your power rates. 11.Low-pressuer gauge ectricity over 35%. 13.Phase failure protecter indication system. ating pump keeping the chiller in low operating cost and low nosy level. 2.Employing superb imported components,with longer terms of service . products fixed and profit maximization. no less than 30%of your power rates. protector.high&low pressure cut,etc)indicate the operation and alarm status of the chiller. 8.Open type stainless steel water storage thak makes the service&cleaning of the chiller.